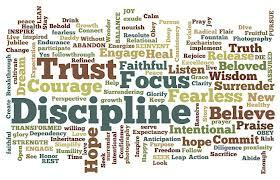 Truth Tuesday – How are you doing with your “one-word” for 2014? Since we just completed the first quarter of the year, I thought that I would take time this week to come alongside those of you that have chosen your “one word” for the year. I want to encourage and challenge you to keep at it. It is essential to remember and focus on your word throughout the year. If you are not intentional about this, the stresses of everyday life and the challenges you face will create opportunities to easily neglect and forget your word. Write it down and post it in your kitchen, in your car, in your planner, on your desk, or in your locker at school. Create a screen saver with your word. Paint your word on a sign and hang it where you will see it everyday. Take a picture of your word and save it to your smart phone. Keep a journal and write down the insights and lessons learned each week. Start a “one word” dinner discussion with your family. Talk about what God is teaching you. Look for sayings or quotes that related to your word. Pick a song that reminds you of your word. The options are endless. The point is to have fun with your word and enjoy the process that occurs through the year. 2. Don’t abandon your word. As you spend time reading God’s Word, pray and ask God to use your word to show you what He has for you to learn. Ask God what His motives are for you walking an entire year with this one word. You will find He has many things to show you both now and later. I am always amazed at how He takes one word and walks me through so many heart transforming lessons with it. There may come a point in the year when you feel you have reached a standstill with your word. You’ve researched it, thought about it, prayed for it, sought to apply it, and then it seems to run dry, with nothing new rising to the surface. Here is where you might be tempted to abandon this project. Please, don’t quit! Should this happen, think creatively about this word. Pray and ask God to give you a fresh, expanded vision of your word. Consider what else this word may apply to. Read the Word of God. Look for passages of scripture or verses that encapsulates your word. Memorize these verses. I make it a point to keep my word in front of me where I can see it daily. However, if your experiences are anything like mine, you won’t have a “A-ha” moment every day with great truths fleshed out in learning. Don’t be discouraged! Just keep praying and reading God’s Word. As you do, over time you will see what God is teaching you and how your heart is being transformed by His grace and truth! A challenge for this week: Consider how your word for this year might apply to your work life, your family life, your hobbies, your friendships, your dreams, your health, your finances, your reputation, and your faith. Journal your answers. How would you like your one word to redirect you this year in these areas? Journal your answers. Look up Bible verses that will encourage your heart to obey, give you strength to obey, or speaks to how your heart is being directed. Begin to memorize these verses. Journal how God is transforming you in these areas.